At Partech we are proud of the quality of the services and support we provide to our customers and always welcome and encourage feedback. 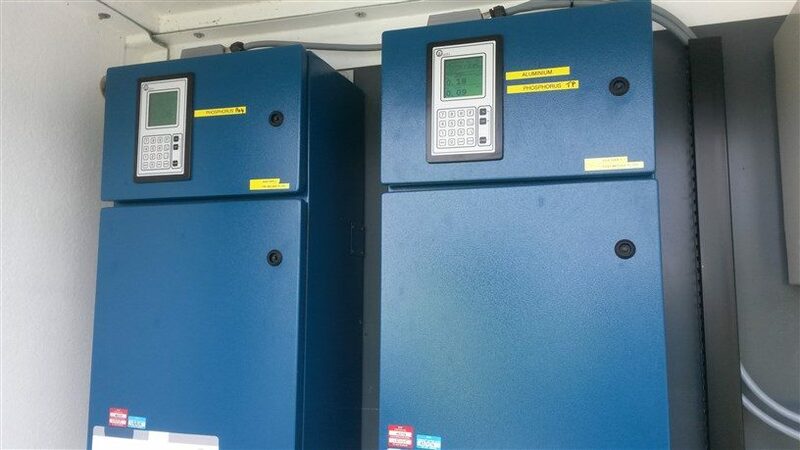 Recently, Partech collaborated with Aqua Consultants on a project for a South West Water site involving real time turbidity readings from Partech Analsyers. The collaboration stemmed from Aqua Consultants supporting South West Water by taking part in the UKWIR Chemical Investigation Programme (UKWIR, CIP2) which investigated the removal of Phosphorous at three waster water treatment works. The aim of the trial was to determine whether it was possible to achieve sustainable low total Phosphorus concentration levels within the final effluent, using multiple chemical dosing locations and a novel treatment technology such as fleece cloth filtration combined with optimised dosing of Polyaluminium Chloride (PAC). A new philosophy was implemented using real time turbidity readings from Partech turbidity Analsyers at different process stages and real time soluble phosphate readings from the Analysers as a feed-forward control for the tertiary dosing point. This enabled the dose to respond to changing process conditions such as high and low flow or a first flush. The final effluent quality was monitored by the Partech total Phosphorus and Aluminium Analyser. The performance of the process was evaluated by Aqua Consultants through online data reports, giving a signal reading every 15 minutes from the control, instrument and Analyser readings. The overall performance was verified by an independent monthly sampling programme. Partech Analysers formed a key part of the control and monitoring strategy and therefore it was crucial that the instrumentation worked accurately and reliably. Carmen von Einem a Process Engineer for Aqua Consultants said, ‘Partech provided an excellent service for all instruments with a monthly service visit on-site. Partech also provided a rapid response to any questions – if there were difficulties with the instruments affecting the real time control, Partech Engineers were available to provide emergency call-outs to get things back into service within a reasonable time’. Aqua Consultants were professional and efficient to work alongside on this successful project and South West water have benefited from the data experience gained during the trial.